Are you trying to eat healthier, lose weight, create your own healthy snacks or trying to save money by avoiding wasting food? Would you like to dry your own fresh herbs, spices or make a batch of potpourri? 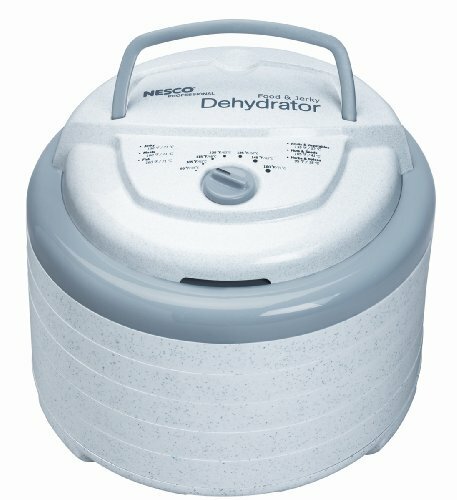 Good for you for considering buying a food dehydrator! A food dehydrator can help you to do all of those things and at very affordable prices with a wide variety of brands to choose from. Dehydrating your own food helps you to control the ingredients and won't require additional sugars or preservatives and dyes that other store bought brands contain. These are the top food dehydrator brands that are rated by customer popularity. Many people are preparing for disasters and dehydrating food can be an easy item to keep, store and take along if you need to move out quickly - say if Zombies take over! Learn more about the top brands, their features and benefits so that you can choose the best one for you and your family and start snacking healthy! Nesco has been in the food dehydrator business for over 30 years producing some of the highest quality kitchen accessories at very affordable prices of less than $100. 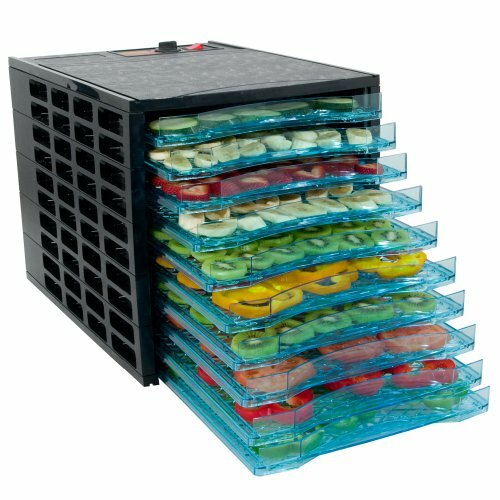 5 Trays for dehydrating fruit, vegetables, beef or roll ups separately without flavors mixing and no need to rotate trays. Just set it and within a few hours you'll have dehydrated snacks for home, work, school, camping or your car! Another one of the most highly rated food dehydrators by customers is this Made in USA brand and for good reasons. This popular brand of food dehydrator boasts 550 watts of drying power with an adjustable thermostat for even distribution of drying power. The fan and motor are located on the bottom of the L'Equip keeping it safe and pushing the warm air up and through the unit to slowly and evenly dry your fruit, vegetables, meats, herbs or flowers. These are the top rated brands of fruit and veggie dehydrators that customers like the most. There are more brands such as Sedona, Waring Pro or Ronco but each of those have documented problems such as melting trays, trays stacked too tightly for some leafy greens to fit, lack of warranty, flimsy design and more according to customer reviews. If you want a reliable food dehydrator for the home that you can use daily if needed, these top performers would be your best bet short of buying a commercial dehydrator. Note: For commercial use such as in a restaurant or other business, you must purchase commercial grade equipment to stay in compliance with state laws. You will find cheaper food dehydrators that would work for occasional home use but, for the money and the many benefits of these most popular brands choose either the Nesco, Excalibur, L'Equip, LEMS or TSM dehydrators and you shouldn't be disappointed. Eat more fruits and veggies, snack healthy with one of our favorite dehydrators by Nesco. So easy to use and package up snacks for on the go or home at the movies! 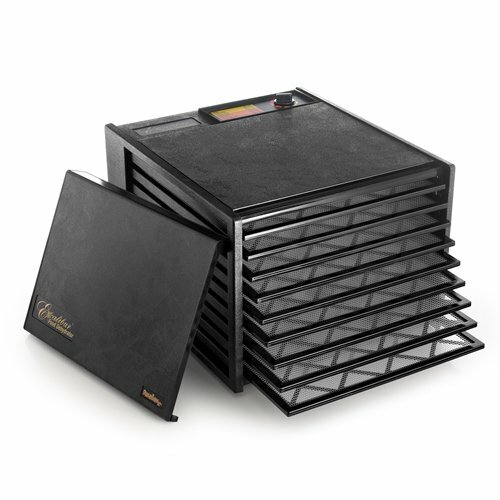 For gardeners, commercial use or those buying fruit and veggies in bulk, check out this highly rated 9 tray food dehydrator by Excalibur. My partners Brother-in-law is just about to go for a 3 week hiking trip and is in the process of dehydrating a whole bunch of different foods. It's awesome! I think we may end up getting one. Thanks for the article! Great info. My wife has been looking to buy one for a while now. Think this might help.....cheers. Thanks ziggyd and inkedwriter. Go for it, there's so much you can dehydrate and get the healthy benefits of any of these machines that they'll pay off for you. Cheers! All great food dehydrators and my personal pick is the stainless steel model for ease of cleaning and super durability. Great having you at IB! !